Ensure your patients follow through with treatment with one simple task. 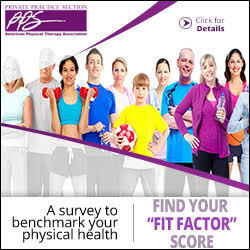 Just about two years ago, I realized that the basic metrics being used when benchmarking a performance in a physical therapy outpatient setting were drastically changing. Prior to that an outpatient orthopedic physical therapy practice would be able to sustain its weekly visits so long as 10 percent of those weekly visits were new patient visits. However, because of the changes in our health care system we must now have 12 percent to 15 percent of our weekly visits as new patient visits. In addition to that, there is an increased financial responsibility being placed on our patients through higher copays and deductibles, thus resulting in fewer visits per week causing the potential for greater noncompliance with their prescribed plan of care. 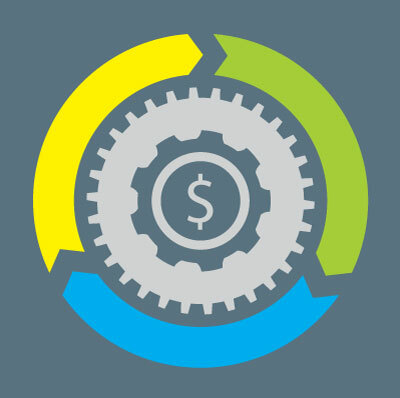 Compounding that with flat or decreasing reimbursement per visit, today’s practice owners must be innovative in their approach to their administrative operations. 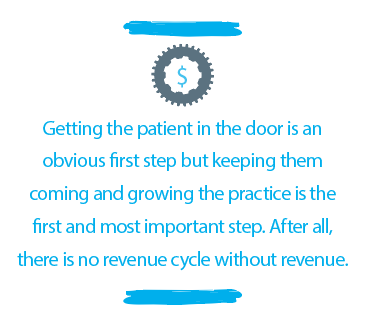 Because, let’s face it, there is only so much one can do on the clinical side of the practice to reduce operating expenses and increase efficiency without negatively affecting your patient care experience. 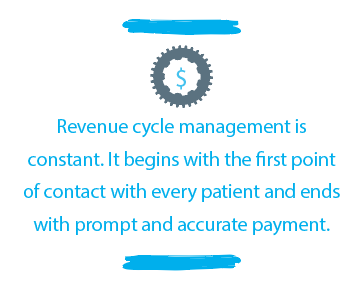 So, when owners are looking to increase patient visits, they must look at their clinical delivery system. 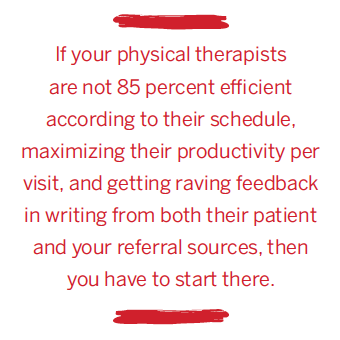 Simply put, if your physical therapists are not 85 percent efficient according to their schedule, maximizing their productivity per visit, and getting raving feedback in writing from both their patient and your referral sources, then you have found a good place to start. 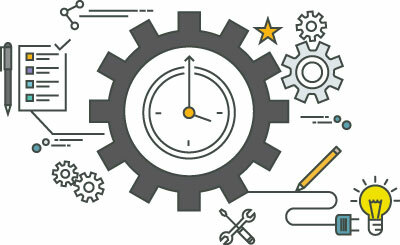 Assuming that you have successfully implemented a management-by-statistics system of measuring your staff’s productivity so that you know each week which of your clinicians are hitting these targets, then you can turn your attention toward the administrative operating systems. 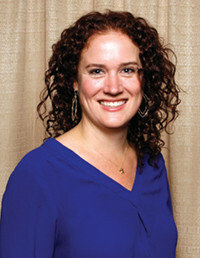 A solution that works in virtually every office where it has been implemented is one that ties together the administrative staff and the clinical staff so that a cooperative effort is being launched to maximize clinical efficiency and patient care compliance with almost no additional cost to the practice. How many times have we seen a patient be prescribed three times a week or two times a week by their therapist only to result in the patient at the front desk negotiating a one time a week schedule instead? They will cite either time or money or scheduling as their justification for not wanting to follow through with what the therapist had just instructed them to do for their physical therapy scheduling. The solution is for the therapist to write out a “physical therapy frequency order slip” and hand it to the patient at the end of their evaluation for them to take up to the front desk for scheduling. This action is no different than when a doctor writes an order for the patient to follow. 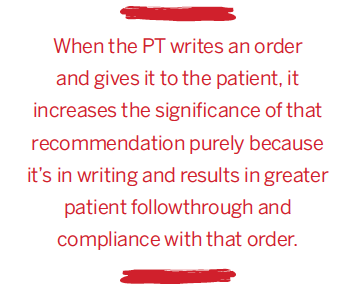 When the physical therapist writes an order and gives it to the patient, it increases the significance of that recommendation purely because it’s in writing and results in greater patient follow-through and compliance. This allows the patient, the front desk staff, and the therapist to be on the same page and adhere to what is the best recommended plan of care for the patient. And, if the front desk schedules out the entire plan of care at that time, patient compliance also increases. What does your front desk actually say when scheduling the patient out following their evaluation? This is another area that can improve carryover of the plan of care. 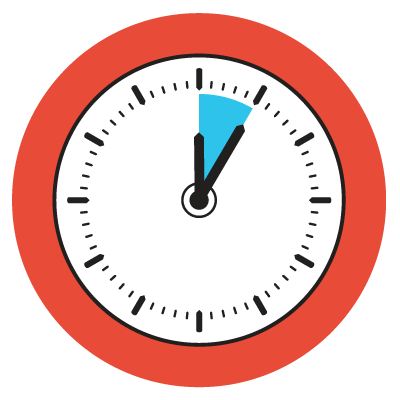 They should never ask the patient when would they like to come in but rather say, “So what days and times don’t work for you?” With this method you will save time when scheduling and get greater patient compliance with their schedule. Try it. You’ll be surprised how such a small simple change can have such a large effect. Brian J. Gallagher, PT, is the chief executive officer of MEG Business Management, LLC, in Severna Park, Maryland. With more than 24 years’ experience in the field of rehabilitation and 19 years in business, he specializes in physical therapy practice management and executive coaching nationwide. He can be reached at brian@megbusiness.com. Nielsen Ratings indicate that 63 percent of consumers value consumer opinions posted online! 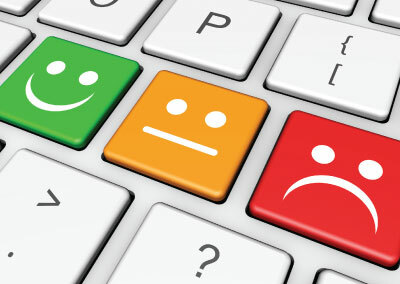 What does your practice currently do to ensure that you have an online consumer opinion presence? 1. Check on the consumer opinion websites including Yelp, Google ratings, and Healthgrades for opinions posted on your practice and your top three competitors. Do you have opinions posted? Are they positive? Negative? Neutral? Do your competitors have opinions posted? 2. Check your own website as well: Are you harvesting your customer testimonials and applying them to your website and social media platforms (e.g., Facebook, Twitter, LinkedIn)? Testimonials utilized on your website, especially genuine videos, or written statements with photos, can boost consumer confidence in your ratings. Having these integrated on your landing page and the page highlighting your staff can be especially powerful. Develop a simple in-clinic poster asking patients to “Like us on Yelp, Google Ratings, or Healthgrades.” Hand out simple postcards at the midpoint or end of care asking people to rate you or better yet send an email with a link to these websites to make posting easier! If your customers have never posted before, perhaps suggest that they rate a few of their favorite businesses. Single Yelp postings may be sorted out and blocked. Ask family and friends who have used your services to post. Spread out those requests over time. Avoid scripting posts and using clinical jargon; sincere consumer-friendly language is the most convincing. If a positive review is posted: Promptly thank your customer! If a negative review is posted: Try to respond quickly and kindly without being defensive. Address the problem with a proactive response. Lead with an apology and try to respond empathetically. Be brief. If you find a back-and-forth response, suggest that you communicate offline directly to resolve the issue. If an extremely negative post goes up, you may want to review and try to remove it. 1. http://localvox.com/blog/how-to-use-yelp-marketing-to-promote-your-business-slideshare/. Accessed August 2016. When I was a high school and college football player, I created elaborate plans for improved strength, speed, power, and ultimately improved sport performance. I worked hard implementing those plans by training almost every day. The actual workouts were never perfect, and the results were not always exactly as planned and graphed—but that was reality. The end result was a senior year in college where our team (the 1985 Gettysburg Bullets) and I displayed performance beyond our wildest dreams! Advice and strategy are lofty while action and execution are gritty. Seek success, not perfection. Accept that virtually nothing will be exactly as intended, but it will be better than before. Make midcourse corrections. Don’t be afraid to get your uniform dirty. No one ever won a football game with the crispest, cleanest, or brightest uniform. We have worked with companies that have shown the discipline to work toward goals and work through adversity, and while they may be muddied, they showed million dollar–plus changes in their value. You’re next. Create a plan and follow your dreams. Paul Martin, PT, MPT, CBI, M&AMI, president of Martin Healthcare Advisors, is a nationally recognized expert on health care business development and succession planning. As a consultant, mentor, and speaker, Paul assists business owners with building value in their companies. He has authored The Ultimate Success Guide, numerous industry articles, and weekly Friday Morning Moments. He can be reached at pmartin@martinhealthcareadvisors.com.